Listening to My Own Words | Keep It Up, David! Anyone wanna guess what happened next? Yep. I dozed off. For an hour. I had to scrap my plans for the pool, and instead showered, dressed and headed straight to the office. 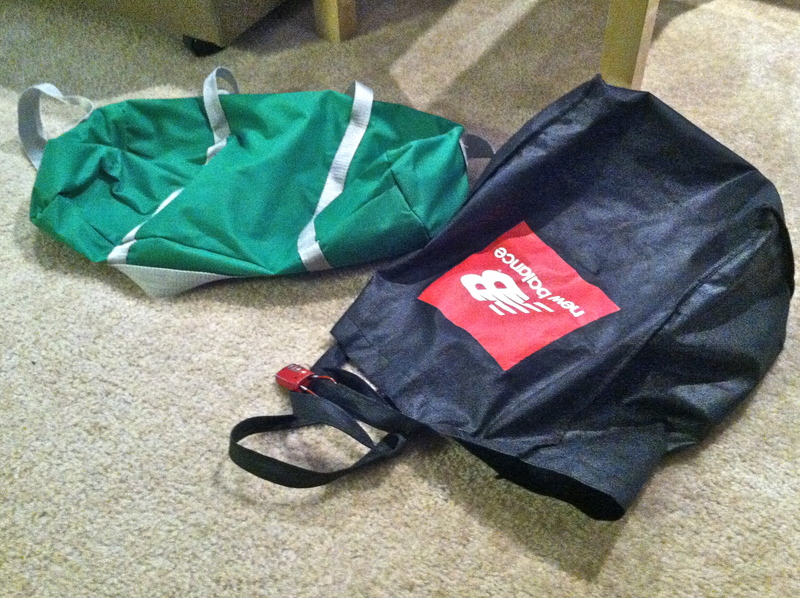 When I left my house, my gym bags were empty. I was pissed at myself during my entire drive to work, because today wasn’t supposed to be a rest day. I just had a rest day three days ago. When I was walking from the parking lot into my building, I realized something else: I was tired. And sore. It was the kind of tired and sore feeling that usually leads to me taking a rest day. I started coming around to the idea that perhaps this unplanned rest day was exactly what I needed today. A little later, I pulled out my calendar. I’m diligent about noting my workouts (as posts like this one prove), so I was able to quickly see that I’ve worked out six times during each of the past nine weeks. There was a stretch in May, after my trip to New York, when I worked out thirteen days in a row. Pay attention to your body, David. You know you like to push yourself during your workouts. You know that can be hard on your body. You know that rest days are important. SO EMBRACE THEM. Goals are a good thing, but you built that ‘five workout a week is acceptable’ clause into your goal because it’s TRUE. Remember that you’re doing a great job, David. A really spectacular job. And you know it, too – so quit trying to prove to yourself that you’re unstoppable. Forcing yourself to complete a sixth workout when you’re fatigued isn’t worth the risk of injury. Take it easy. It’s easy for me to get swept up in my health goals. In the past it’s led me to unhealthily obsess over the numbers on the scale, and now I think it could be encouraging me to ignore the messages from my own body for the sake of having as full a workout calendar as possible. It’s not balanced. It’s not healthy. And recognizing that is the first step towards making a change. And embracing a deserved yet unplanned rest day is a second step. That, in a nutshell, is what this whole big shebang is all about. Figuring out all the little steps so the big changes can fall into place. This entry was posted on Tuesday, July 17th, 2012 at 11:01 pm and is filed under Uncategorized. You can follow any responses to this entry through the RSS 2.0 feed. You can leave a response, or trackback from your own site. So true David, as much as I envy your determination, I am not even getting close to the amount of workouts you manage to fit into your days, I believe that once I start getting sluggish about my movements when doing ZUMBA, I usually know that I either need to take it easy the next day or have a rest day. Just do as your body tells you, I am sure you will be fine and yeah obsessive behaviour comes along in many disguises. You can do it!! Amen, David! I have the same goal – six times a week. I’ve got Zumba twice a week, weight training twice a week, treadmill twice a week, peddler five times a week… and occasionally my body says, “Enough, woman! Give it a rest for Dog’s sake!” Five times is really good – especially when they’re as active as Zumba, Slimmons, swimming, running, etc. Thanks for the reminder! Yeah rest days are important. I have found sometimes the body just isn’t up to it. Other times it’s really just my brain trying to be lazy. Sometimes it is good to take a rest.